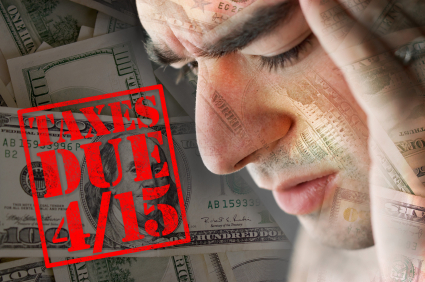 There are a lot of mistakes you can make at tax time. One of the biggest–in fact, it is absolutely the biggest–is to fail to file your return on time. That particular mistake can also cost you if you are in bankruptcy, or if you need to file bankruptcy. The temptation not to file a return may be great. You may know that you owe taxes. You may be unsure that you have all the paperwork needed to file. You may purely hate to deal with numbers. None of those are good excuses, and here’s why:The IRS penalizes you ten times as much for not filing a return as they do for just not paying the taxes. Ten times. The penalty for failure to file a return is 5% of the amount you owe; if you file the return but can’t pay the tax, the penalty is 1/2 of 1%. Now, that can impact a bankruptcy filing in several ways. If you are considering a bankruptcy filing (or “fixing to file” as we like to say in the South) your bankruptcy attorney and your bankruptcy trustee will both want copies of your tax returns. Your bankruptcy case will not be permitted to proceed without those copies, so all your time and effort will go to waste if you haven’t filed your tax returns. If you are already in bankruptcy, the same may be true. Many Chapter 13 trustees want to see a copy of your tax return every year you stay in Chapter 13, and that’s three to five years, depending on various factors. Another way failure to file returns can impact a Chapter 13 is that the IRS (as well as other taxing authorities) will assess an estimated tax for every year that you fail to file a return. And trust me, they will estimate high. Not only can that blow your payment plan out of the water, many Chapter 13 trustees will, again, make filing the return a condition of continuing in bankruptcy. So, no more excuses. Like it or not, you need to file the returns, even if you hate math, hate paperwork, and don’t have the money to pay the taxes you know you are going to owe. Talk to your bankruptcy lawyer about how bankruptcy will affect your tax debt, or even help you resolve that obligation. You might be in for a nice surprise.